Nary a week old and it would seem that Destiny 2 has come under fire for their handling of shaders (coloured cosmetics). Hitherto, obtained shaders would be retained permanently, could be applied and reapplied endlessly, and were kept for eternity unless otherwise disposed of by the player. The in-game items would effectively alter an avatar’s garb to match the colours of that particular shader. With Destiny 2, Bungie has made shaders a one-time use item and consequently agitated the populace. A fact worth noting: Destiny did not have a transmog system when it launched. Pivoting into this disposable model puts Bungie in a bit of a precarious position, with many fans already feeling miffed by the three year shelf life of the sequel’s highly touted predecessor. For players that have already shelled out 100 American for all the bells and whistles, single-use items might feel like a bit of a stick-up. Rather than apologize and hot-fix, Luke Smith took to Twitter earlier today in an attempt to quell the masses: citing that players ought to be “flush w/ Shaders” just by playing the game. Whether or not his rhetoric is enough to wash away the notion of surprise micro-transactions remains to be seen. 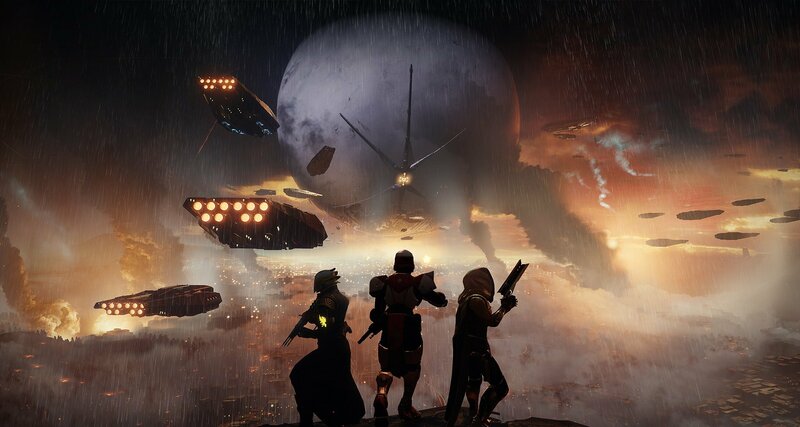 At the time of writing, Destiny 2 is out in the wild for console players, with the PC crowd anticipating an October release. Editor’s Note: While Destiny did not launch with a transmog system in place for gear, it did eventually patch it in with a later expansion (contrary to what was initially written here). Too Far Gone has clarified the distinction and regrets the error.